Supply all employees who work in noisy areas with high-quality Moldex ear plugs. These ear plugs gently fit inside the ear to muffle loud noises, as well as keep irritants out of the delicate infrastructure of the human ear. Many Moldex earplugs are tested to NRR (Noise Reduction Rating) levels, ensuring you’re getting top quality protection for your ears. At Seton, we offer a selection of Moldex ear plugs, including Moldex® Rockets® Reusable Earplugs. These earplugs are rated NRR 27, tested to ANSI S3.19-1974 and even come with a carrying case to protect them when they’re not in use. Protect your eardrums with high quality Moldex ear plugs, available at Seton. Protect the incredibly delicate human ear with Moldex ear plugs, available at Seton. Most Moldex earplugs are tested against NRR (Noise Reduction Rating) levels and many also comply with ANSI regulations about hearing protection. 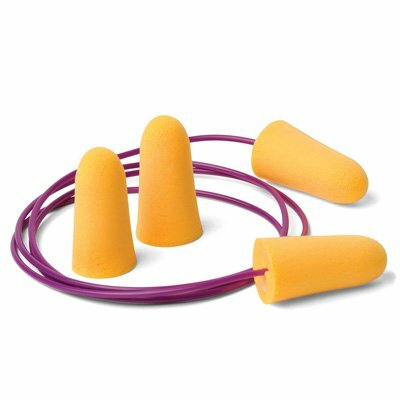 Ear plugs are designed to easily fit inside the human ear to protect against potentially harmful loud noises, as well as particles that could infect or damage the ear canal. At Seton, we offer a variety of Moldex ear plugs, including Moldex® Goin' Green® Foam Earplugs, which are the highest rated earplug with NPR 33 and are also the official ear protection of NASCAR®. 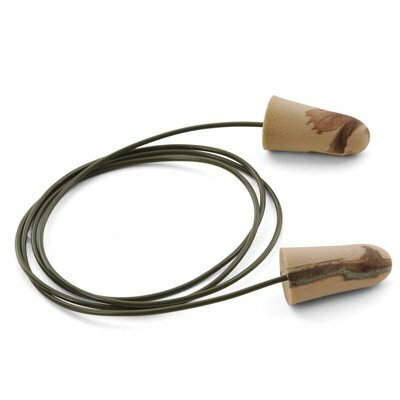 These earplugs are made from PVC-free foam, which offers a comfortable, low pressure fit, and also has a tapered shape to smoothly seal the ear canal. These ear plugs are also tested to ANSI S3.19-1974. Maintain an eco-friendly facility by dispensing used earplugs into the recyclable PlugStation® dispenser. Looking for other hearing protection options? Seton offers a large selection of noise-blocking earmuffs, as well as other ear plug options from brands such as, Howard Leight AirSoft®, North Safety®, 3M™, and more.